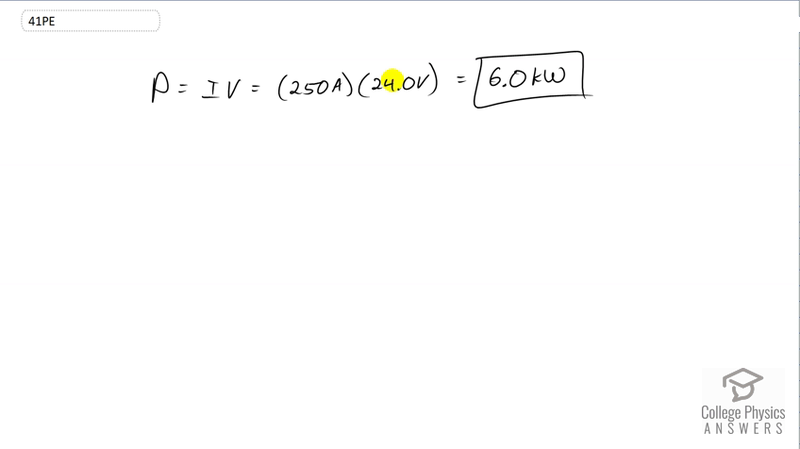 What power is supplied to the starter motor of a large truck that draws 250 A of current from a 24.0-V battery hookup? This is College Physics Answers with Shaun Dychko. The power supply to the starter motor is the current multiplied by the voltage. So it’s 250 Amps we’re told, multiply by 24 Volts, which is a power of 6.0 kilowatts.